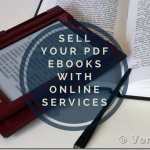 If you want to sell/rent/distribute PDFs online, have a look at VeryPDF DRM Solution (http://drm.verypdf.com). VeryPDF DRM provides a free online DRM solution to protect your PDF files with online DRM technology, your documents are never transferred to a server or moved from your computer, you can distribute the protected file directly, and no one else will have access to the original file but you. VeryPDF DRM Solution does protect your PDF files from sharing. It controls who can view the document and how many times they can view it. Secure from printing, saving and screen capture. Be read on MAC, Windows, iPhone, iPad, Android and Online Web App, multi-platform. Set start & end date. Set no. of days – for 12 month subscription. If there’s a cloud edition, protection from sharing with other users within the organization. VeryPDF DRM Solution does support all of above requirements. You can visit http://drm.verypdf.com to test free online application for PDF protection. VeryPDF is an old PDF DRM solution provider. We provide PDF protection from sharing. You can lock your PDF files online easily. With VeryPDF DRM protection, you don’t need to worry about share or copy the protected file, because it’s protected with a license. The license can not be copied. You totally control the copyright of your PDF file. Users must obtain a license with username and password to open the PDF file. You can control the begin date, expiration date, open count, print count, and you can also disable virtual printer. VeryPDF provides free online application that you can try it for free. Now, you can use VeryPDF DRM Solution ( http://drm.verypdf.com ) to protect a PDF that you can distribute and sell it from your website or any online store. ← DRM software with document encryption and copy protection are most sought after technologies in document security. 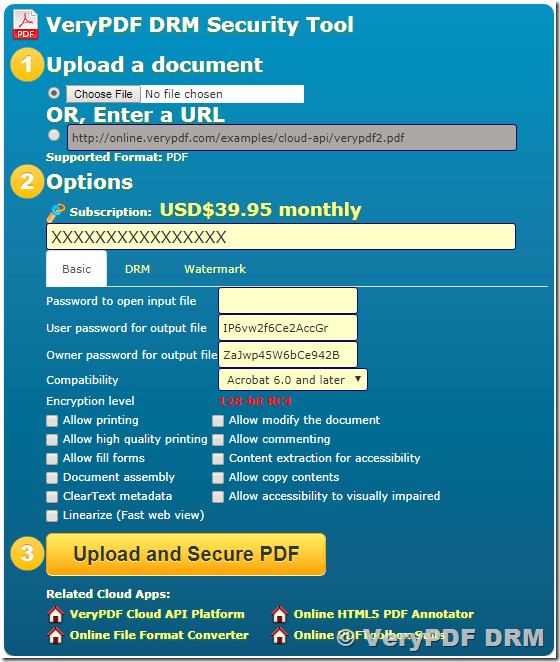 VeryPDF Cloud PDF DRM Protector can be used to protect, control and track access to your PDF, Word, Excel, and PowerPoint documents. PDFDRM on PDF DRM how do you know?